Does it work as it should? It certainly does. The reason why I decided to review Dropbox is quite simple. Dropbox is one of the most popular hosting companies out there, and there is a reason for that. It's very simple to use, and I haven't encountered any serious problems or had any issues with it. It offers a variety of features that are quite useful. Dropbox pricing & plans seem alright as well when compared to their competition, however, there are cheaper equally good alternatives. 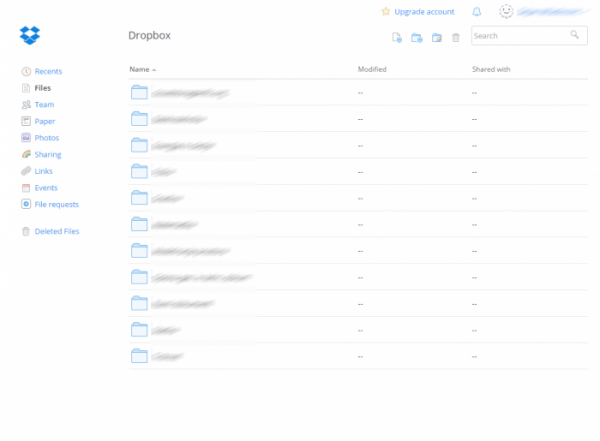 While doing good on almost every field, Dropbox fails to provide a proper solution for backup of your files. If you're looking specifically for a backup service, then you should not stop here and continue searching. None the less, this is one of the cloud storages that I would recommend to you. Read more about Dropbox down below. Dropbox offers a few different plans. They have 3 plans that are meant for personal users and 2 that are meant for businesses. Dropbox Standard €10 / user / month 2000 GB Plan for smaller businesses. It also comes with a 30 day trial period. Dropbox Advanced €15 / user / month Unlimited Plan for bigger enterprises. Who's it not for would be the right question here. It offers a lot of features that have proved to be useful over the time I was using it. It's very straightforward and easy to use. If you're somebody that needs just a bit of storage for your school assignment, a few photos or just enough space for those word documents that your co-worker sent you from work, then the free "Basic Dropbox" plan is for you. It offers more than you will ever need. If you would like to get the bigger storage, you can always do so by paying the upgrade cost. If you're looking for a cloud service that will automatically backup files on your personal computer or your smartphone, then Dropbox is not the company you want to go with. The backup feature is one of the few things this cloud service hasn't got to offer. Dropbox is generally a very easy cloud storage to use. Every person, weather you're a computer wizard or just an everyday average user, should be able and will be able to learn how to use it. You log into your account and just upload your files, weather that's in folders and sub folders or just on its own. 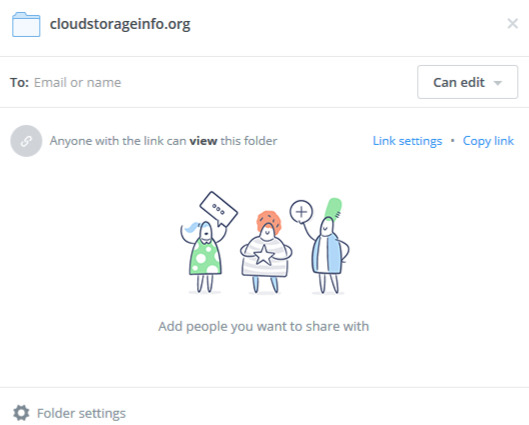 Dropbox isn't just a cloud service, it also offers you to share files or even allows other people to upload files to your account. The data can be shared by creating a link that anyone can access or just send them via e-mail. Dropbox has developed a program that you can download to your computer. With Dropbox's Selective Sync feature, you can prevent certain folders from syncing on all of your computers, if you wish to keep them separate on only one PC. They are just simply uploaded to the cloud instead. I find this one of the best features of Dropbox. Whatever I am doing I just simply drag the files into the folder as I would to my hard drive. You then wait for a second or two, depending on your internet speed for the files to sync across all platforms. The files are uploaded to the folder instantly though, and you can continue to use them while they're uploading, it feels so natural, and it's just another "drive" where you can store your files. Moreover, if you're offline, you can still access the folder and use all of its contents. Even if your PC has a meltdown your files saved in the cloud won't be affected by it. In case you're using the Dropbox desktop application your files are actually backed up multiple times. Data that you erase or overwrite is by default saved for 30 days. That is in the free version. In case you decide to upgrade to the Pro version all your deleted files and overwritten versions will stay there indefinitely for you to grab back at any time. As a lot of you probably know Dropbox is known for having a security breach back in 2012. They do have an advanced security system in place, but as you see even that can't be enough at some point. For advanced users: Dropbox files are encrypted using 256-bit Advanced Encryption Standard (AES). Dropbox uses Secure Sockets Layer (SSL)/Transport Layer Security (TLS) to protect data in transit between Dropbox apps and their servers; it's designed to create a secure tunnel protected by 128-bit or higher Advanced Encryption Standard (AES) encryption. 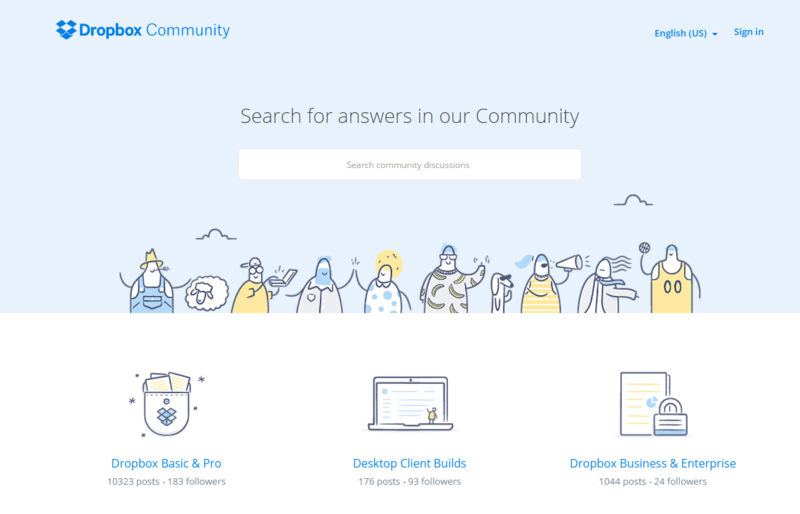 Dropbox has already created a Dropbox Help Center to which anyone can access. From the help centre, you can access guides, how-to videos and support articles. A lot of the questions that you might have are probably already answered there or on their forums. If you will have any additional questions regarding the programs they're offering, there's a live chat for you to use. In case you're having any technical difficulties you can contact their support directly. If you need assistance with anything, you will get it, whether it's using the Help Center, the forums or by messaging them directly. This feature allows you to create a folder to which can access only the people you add to your team. Free groups are designed for Basic and Pro users who cooperate at the same organisation or on the same tasks. When you make or join an open group, you gain access to the team folder. Your private and team folder stay separated and are not combined. This feature allows more people to work on one document at the same time. It's still in Beta, so they're improving the functionality as time progresses. They're creating their own "Word", but it's online, and you can edit it as you go along. I personally wouldn't use the feature as it lacks so many of the things that you could do in your Microsoft Office. Just create the files and share them via the Team feature. The Dropbox mobile application allows you to access your files anywhere you are. It feels the same as if I would be browsing on my computer. It also adds an additional feature to upload your photos automatically. I guess you could call that one way to backup your photos. Overall it's a nice looking interface, and the whole application is well made. Here's a screenshot of it. Dropbox is a very useful cloud storage, and you won't miss if you decide to use it. Keep in mind that if you would like the automatic backup of files as well, go ahead and pick another cloud storage. 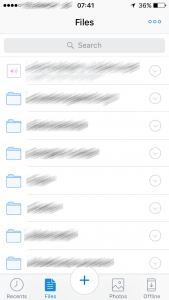 Dropbox offers a wide variety of features. However, it lacks in the privacy area. If you would like to have a cloud storage that has no access to your files and is based on a "Zero-knowledge" platform and offers client-side protection, I would suggest you take a look at pCloud.com or Sync.com. YOUR OPINION MATTERS! 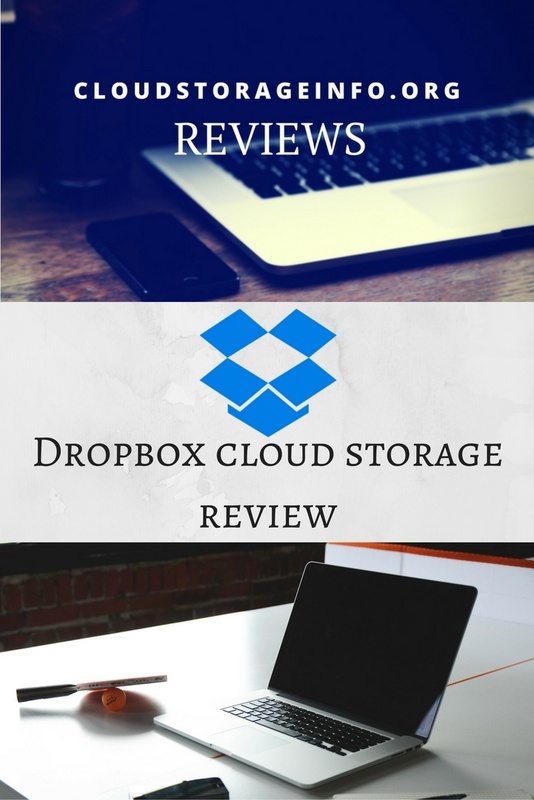 Review Dropbox yourself as well by posting a comment below. Would you just like to share or ask something? Just skip the review part! Thanks for writing this review. You have outlined all the important details nicely. I personally have been using Dropbox for years now and I like it. It’s easy to use, the interface is clean and I’ve not experienced any issues with it thus far. It’s a great tool to have and allows you to easily share your documents with others. Highly recommend it. I value my reader’s opinion more than anything else. Thank you for stopping by and sharing your experience with all of us. This a great review. I have an account with Dropbox but haven’t used it for a while. I think I’ll give a try with the mobile application. I’m not a big fan of Dropbox. Could you give me some other options? I would prefer something that is not expensive not cheap but a good value for an excellent product. Well first of all, Dropbox is one of those popular cloud storages that is definitely quality. On the other hand, I believe that certain cloud services have gone beyond that and are now better. My #1 choice is pCloud. You can find the review of pCloud here. Hopefully this will help you out and thank you for stopping by. This appears to be similar to Google Drive, but appears to have a lot more features and functions. We primarily use Google Docs for his school work. I do scan items to google, is it possible to scan them to this? That would be my main issue, is being able to scan documents into my “computer”. That is one feature that I would need to have for sure. It also appears that I cannot create documents or spreadsheets in Dropbox, only drop them in? Correct? If I understand you correctly you’re using a scanner to scan items to your google cloud. This is enabled by your printer/scanner and it’s up to it, if it supports scanning to dropbox. I did some research and is it possible that you have an Epsilon scanner ? In that case, Epsilon supports Box, Dropbox, EverNote, Google Drive or Microsoft OneDrive. If you have any other scanner that supports scanning to Google Drive, there’s a big chance that it supports scanning to Dropbox as well. Regarding your question about creating documents or spreadsheets, Dropbox itself doesn’t support Google Docs. It has it’s own Paper feature that enables you to create documents and tables. If you really wanted Google Docs there are various ways to integrate them, but I wouldn’t bother with that. There’s also one alternative to that – Box. It has Google Docs, Spreadsheet, Word, Powerpoint, etc. integrated already. Check it out. I hope that answers your question. Thanks for stopping by. I’ve been using Dropbox for a few years and really like it. I think my favorite feature is the fact that I can access my files from any computer. I can remember before when if I was going to work on something at at a different computer, I’d have to remember to bring a thumbdrive or email it to myself ahead of time. Now that I have Dropbox I don’t have to think about it anymore. I don’t know how many times it’s saved me! I still find myself sending an e-mail to myself out of habit, but it rarely happens. That’s why you have cloud storage. Makes it so much easier and faster. Thanks for dropping by. I actually use it but for file sharing rather than storage. I prefer my backups be hardware rather than cloud for a number of reasons. 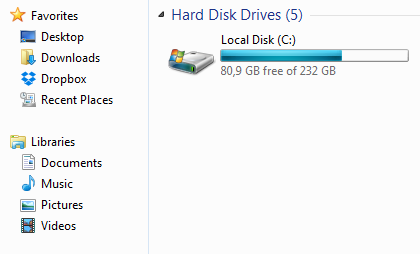 Some of my backups from my hard drives can also get a little large as there are a few terabytes of data. As a file sharing solution though it is great. I can quickly copy up files and photos and diagrams that I want clients to see and get quick feedback – especially if clients have restrictions on email size. I agree with you. 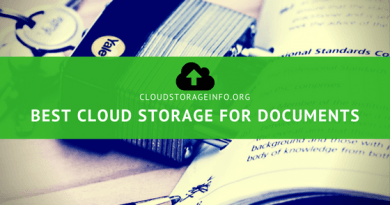 In case you have multiple terabytes of data cloud storage might not be the best place to save them as it can come expansive, that is we’re talking about personal use. Business options are a lot better. Then there is also the option to use it just for sharing files, like you do. Dropbox is an interesting technology. I really like the idea that once a folder on a PC is ‘connected to Dropbox’ that any file updates, file deletions and file inserts are automatically copied to Dropbox without the need to do anything. It just happens automatically in the background once that machine is connected to the internet and is able to communicate with Dropbox servers. Very useful. Yes I agree, the synchronization is about as good as it gets. Thanks for dropping by. This Dropbox is just what I need and now that I have a new job and my own website. I use my computer faithfully and use up a lot of storage. I would probably have to upgrade also. I like how the have a mobile application to as I am mostly on the go. This will be very useful for me. Thank you and I will be back for more reviews, that you have on your website. I am glad that I was able to help you. Thanks for stopping by. well written article on this drop box product, sounds that the free version would fit most average people online. I have never used one of these products, I am a bit overwhelmed with them right now. It seems this type of product is a must to store all your important information, I will have to consider this free version plan for the near future. Thanks for a well written review of one of my very favorite storage solutions. I have used Dropbox for some years now, but also use some other cloud storage solutions. I guess my favorite Dropbox thing is that it automagically save all my phone pictures on the cloud so that I can snap a picture with my phone and 2 sec later access it from my laptop 🙂 keep up the great work here ! I am also using Dropbox. A couple of times I accidentally deleted a photo and even a file. I was able to retrieve them back again, no problem. Dropbox is easy to use. And since I am techy challenged, I do mean ‘easy to use’ – I am very pleased with Dropbox. Thanks for your informative review. Thanks for leaving your feedback on Dropbox here. I agree with you, Dropbox is very easy to use and offers quality service. If you have any questions or if you would like me to do a review on another cloud storage leave a comment or e-mail me.